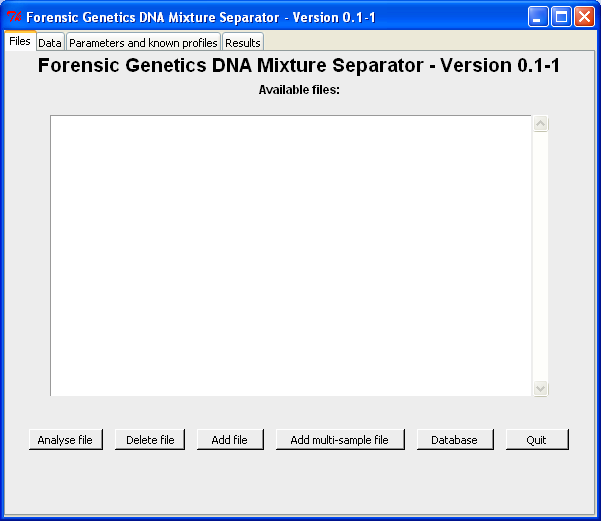 The online DNA mixture separating tool at http://people.math.aau.dk/~tvede/dna/mixsep.php has not been maintained for quite some time. The implementation is written entirely in php - a not very efficient language for performing statistical analysis. Hence, I have implemented the code in R (www.r-project.org) together with an easy to use graphical user interface (GUI). The algorithm and GUI is available for both Windows and Linux below. The package is also available on CRAN: mixsep on CRAN. The mixsep-package was presented as a poster at the International Society of Forensic Genetics 24th Congress in Vienna, August 29 - September 3 2011. Click here to download the poster: ISFG2011 Poster. 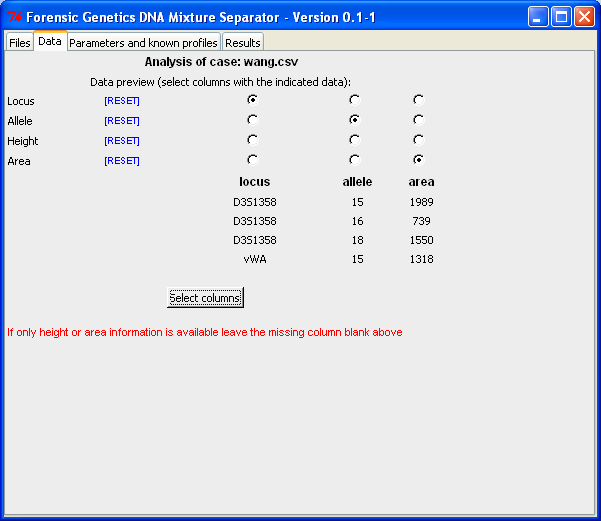 The screen shots below explains the various steps for analysing a DNA mixture using the GUI. 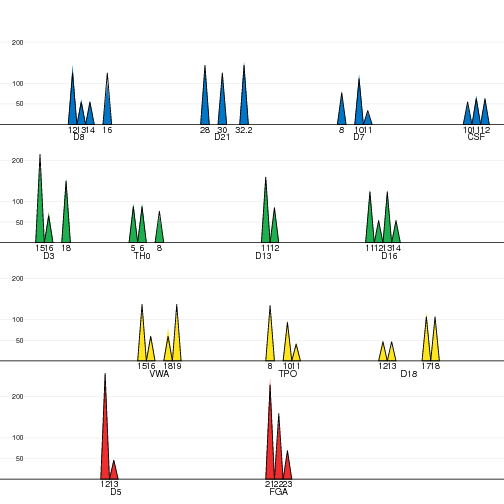 A more detailed description of the underlying model and algorithm is available as "ahead of print"-paper in the Journal of Computational Biology (Identifying contributors of DNA mixtures by means of quantitative information of STR typing). Furthermore, I have a manuscript in preparation explaining in more "how to"-terms to use the mixture separating tool (GUI) in R. More detailed guides and screen shots are available below. See the install guides for CRAN and manual install tips. Note that the version number in the screen shots used in the guides differ from the current release. However, the layout and content is the same. Only screen shots with updated content and layout is updated with new releases. 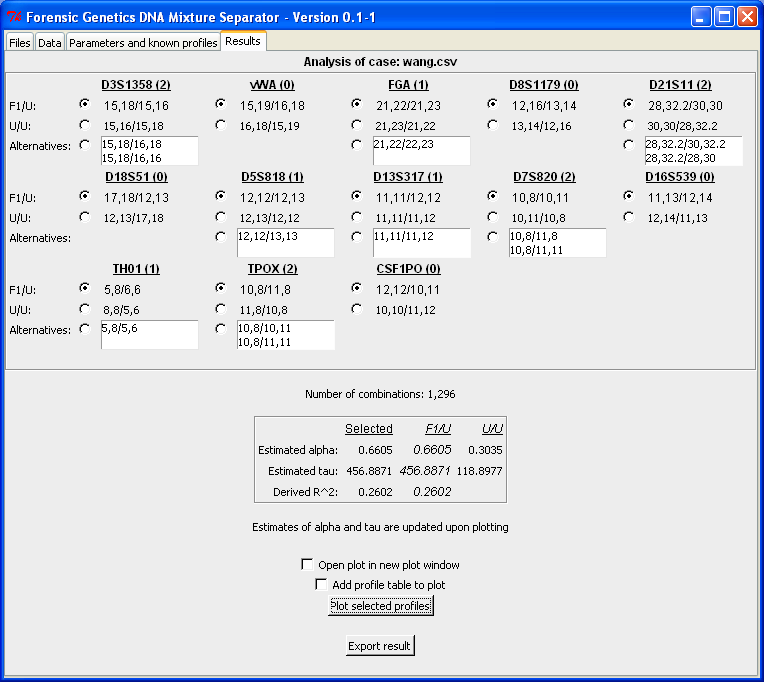 The screen shorts below show some of the different tabs of the main window and plots for diagnostics. Please refer to the guides for further details and more screen shots. Loading files and selecting case for analysis. 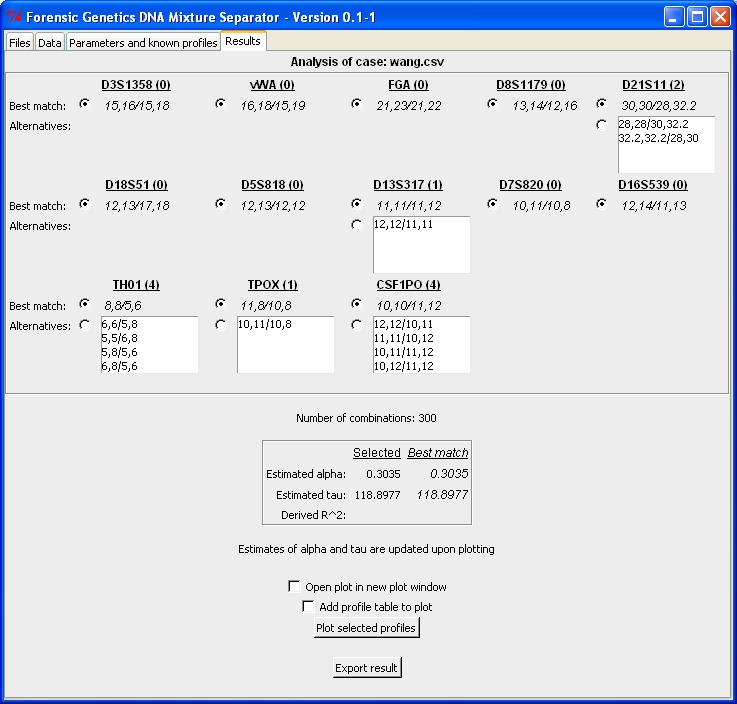 Select columns in the file containing the relevant data. Set analysis parameters: Number of contributors, whether possible alternatives should be listed etc., and specification of known profiles.  Resulting sets of plausible profiles. Resulting sets with a fixed/known profile specified. Plot of the observed and expected peaks intensities.